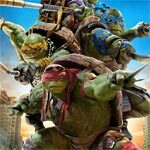 Teenage Mutant Ninja Turtles: Out of the Shadows might’ve been an ever-so-slight improvement over its predecessor but that’s not saying a whole lot. It’s still too Bayish for my taste and the inordinate amount of visual effects makes it tiring, though the fan service at least makes it a tolerable enough experience. 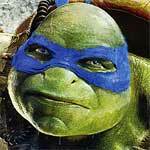 Teenage Mutant Ninja Turtles is an inoffensively bad movie made for an entirely different audience than those who grew up with the reptiles in the 1980s and 1990s. But taking that aside, it’s a thin story, poor writing and chaotic direction that makes it really hard to watch culminating with a lame and underwhelming finale. The Blu-ray release comes with excellent audio/video transfers but the bonus features are limited. 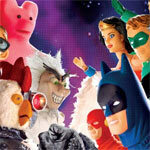 “Robot Chicken” is easily one of the funniest shows on television and a personal favorite of mine. This fifth season, while not the strongest in its run, has some funny bits and like before, a great collection of guest voice talents. Seth Green and company also know how to package a home video release with plenty of features to justify the price given each episode is only 11-12 minutes long. Here is the recently released trailer for the DC Comics adaptation, Jonah Hex starring Josh Brolin, John Malkovich and Megan Fox. It’s hard to believe that despite all the buzz that Jennifer’s Body received, mainly about this being Megan Fox’s big solo role away from those giant machines, it still flopped in theaters and performed well-below industry expectations. The flick managed to gross under $20 million worldwide its entire theatrical run, which caused concern not only for her career but also writer Diablo Cody’s as well. Thankfully, I’m here to tell you that this horror flick is actually more bite than bark and is a fun horror movie with violence. Oh, and Megan Fox is in it.